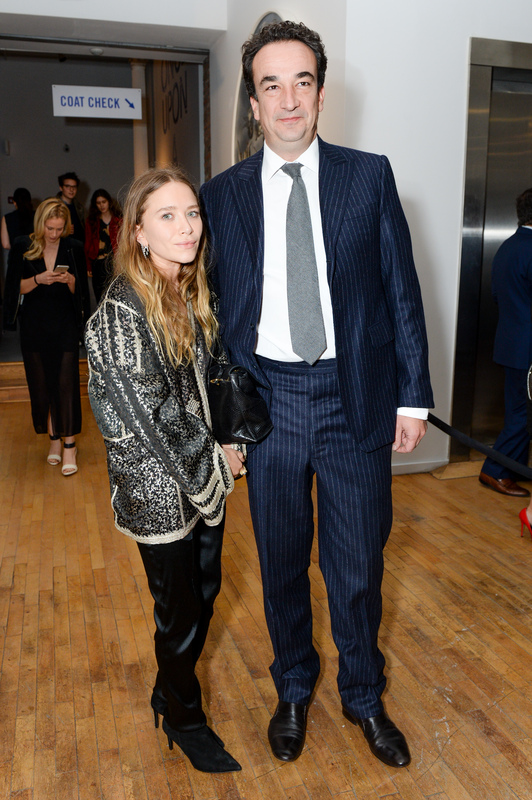 In case you missed it, Mary-Kate Olsen, 29—one half of the designer duo (along with sister Ashley) behind high-end fashion labels The Row and Elizabeth and James—married her much older, much taller partner of three years, Olivier Sarkozy, 46, a French banker and the half brother of former French President Nicolas Sarkozy, in an intimate Manhattan setting over Thanksgiving weekend. The surprise nuptials, which were held at a private residence in New York, have thrown the fashion world into a spin with many media outlets frantically speculating on what the bride wore. Could it have been noir? The designer—who in 2014 was proposed to with a vintage Cartier gold, 4-carat diamond and sapphire ring worth a cool $81K—was married on Black Friday, after all. Whatever her dress, the real buzz has been around the fact that the 50 guests, who had to surrender their iPhones at the outdoor dinner, were treated to “bowls and bowls filled with cigarettes, and everyone smoked the whole night,” according to Page Six. Well, it was a fashion party wedding.